Welcome to this year's Natural Range DIRECT catalogue from Thatch International Ltd. As well as our usual favourites, we have again added more new exciting products to our range. To place your order, simply click on the 'Buy' button next to the product. This will take you to our Secure Server where you can submit your Credit Card details in safety. Alternatively, call us on 0845 600 9292 with your credit or debit card details ready. Plus much more for your garden. 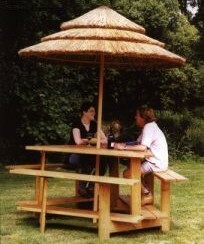 Easy to order anywhere in the UK mainland. Surveying thatch is a highly specialized job, and if you get it wrong, you could later find yourself in deep water. Thatch International takes the risk out of this risky business by providing a specialized surveying service to UK Estate Agents, Surveyors and Home Inspectors. Click here for further information..
Thatch International can offer a wide range of screening to suit any situation. Screening is used not only for decoration, but for hiding any unwanted eyesores in your garden. Screening is also used as a temporary fence while a newly planted hedge is establishing. 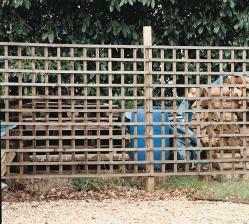 Our attractive range of screening will enhance any area of your garden, eliminating all unwanted eyesores. Buy 2 lengths of 250mm Bamboo Edging and get the 3rd at HALF PRICE, saving £10.00! 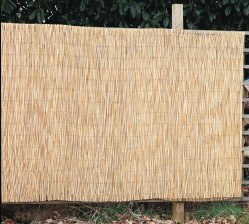 Buy 2 lengths of 175mm Bamboo Edging and get the 3rd at HALF PRICE, saving £8.00! Buy 2 packs and get the 3rd at HALF PRICE.